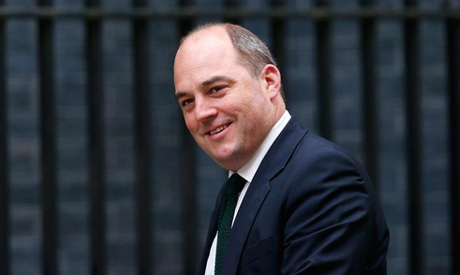 The UK’s Minister of State for Security Ben Wallace has commended the Egyptian government’s efforts on combating terrorism in Sinai during a meeting with the Egypt’s Ambassador to the UK Tarek Adel on Saturday. Adel discussed with the British minister means of boosting Egypt-UK relations in various fields, especially security cooperation and coordination, the Egyptian foreign ministry said in a statement. Wallace underscored the importance of Egypt as a strategic partner for Britain in light of the joint security challenges facing the two countries, topped by terrorism and extremism. In November, an Egyptian parliamentary delegation met with Wallace in London to discuss issues of mutual interest to the two countries. The MPs’ meeting with Wallace and other British officials focused on Britain's continued ban on UK airlines flying to Egyptian Red Sea resort of Sharm El-Sheikh, which was imposed after the crash of a Russian airliner which took off from Sharm El-Sheikh, killing all 224 passengers and crew.